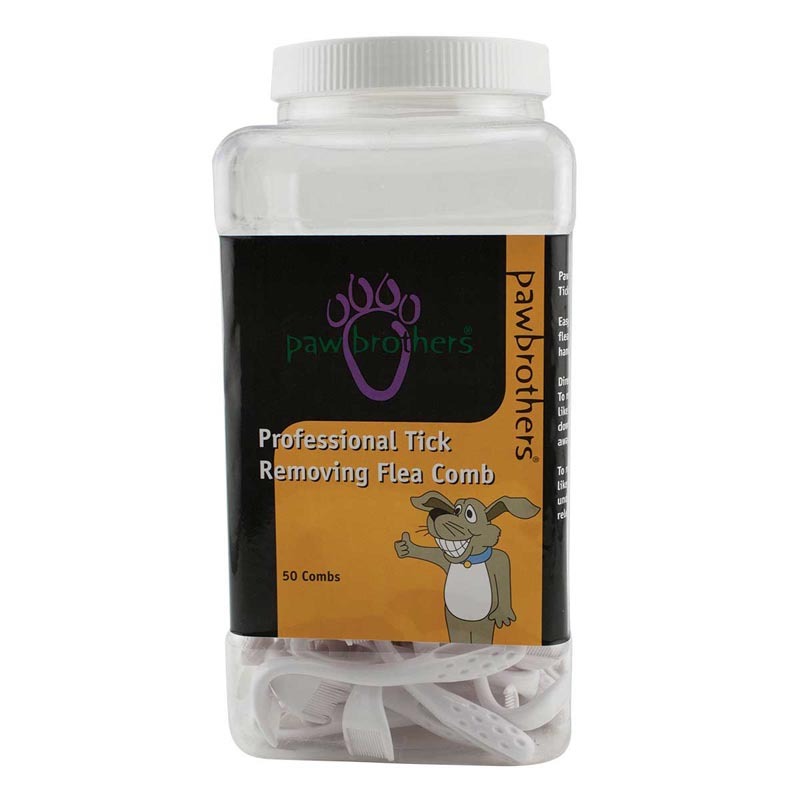 The Paw Brothers Professional Tick Removing Flea Comb is an easy-to-use 2-n-1 tool. Easily and safely remove fleas and ticks with one handy tool. Tub of 50 combs is perfect for busy grooming shops.